We shoot weddings in a documentary and reportage style. That means we are in the background quietly observing and capturing those special moments. You will have candid, unposed, relaxed and natural photos for you to treasure for life. We avoid, where possible, using flash. Instead, we make use of large aperture lenses that capture the available light. This allows us to capture the mood and atmosphere of your special day. We will also photograph some traditional shots of you with your family and friends where we will, of course, ask you to Smile & Pose. No two weddings are the same. Your wedding will be unique and special to you and your partner. We are happy to discuss what your specific requirements are. We are based in London UK. We can travel within London and the south east of England. We will also consider weddings further a field. 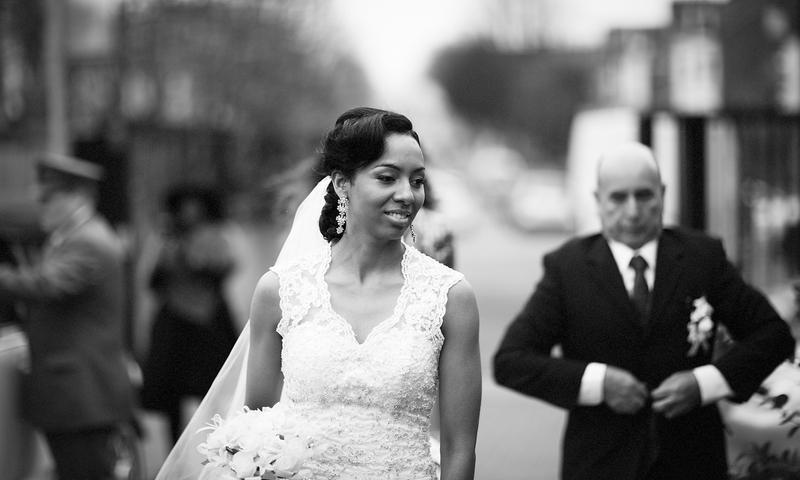 We shoot weddings in a documentary and reportage style. That means we are in the background quietly observing and capturing those special moments. We use canon DSLRs and mostly Canon L lenses including Canon zooms and a couple of Canon 1.2 prime lenses. We usually use 2 cameras each, so we can switch fast to the most suitable lens and avoid missing those special shots. How many hours will you spend at our wedding? How many other weddings will you be shooting on our wedding day? We will only be shooting your wedding. We want to give you our very best. How do you provide us with the images from the wedding? We will provide you with high quality digital files on a pen drive and also a password protected web gallery. Do you include an album or prints? Can my friends and family also have images from the wedding?